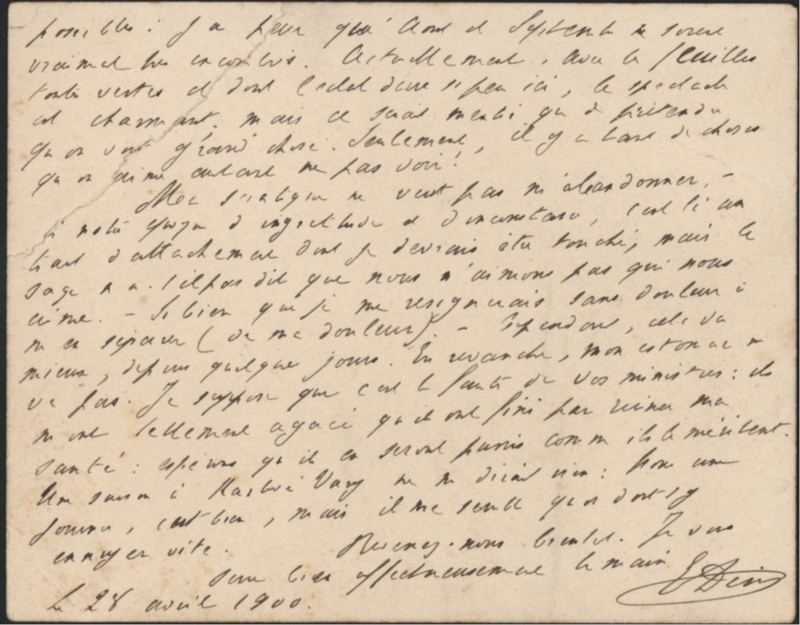 Correspondence Card Signed ‘E.Denis’, closely written on both sides, describing books he is sending to his friend, his visit to the Exposition, and much else. In French. 3 x 4 inches, light creases only. 28 April 1900. Ernest Denis (1849 –1921), French historian. Denis became known as a specialist of Germany and Bohemia, and played a major role in the establishment of the Czechoslovak state in 1918. Along with Louis Léger, he is considered to be one of the most highly regarded 20th-century historians of the Slav world in France. Upon his death, the Czechoslovak state bought his residence in Paris in order to create an institute for Slavic studies.